As you begin to establish your life with a minimalist mindset, you find yourself contemplating how to apply this same mindset to all situations you encounter. How do you bring a minimalist perspective into home life? Is there a tangible way to use this same approach in the work place? Can there possibly be a minimalist handbook when it comes to social events and dinner parties? The truth is, a minimalist mindset can be brought to all situations you run into throughout your lifetime. The trick is to simply know how to use this perspective intentionally and consistently so those around you understand what they can expect from you. Once you are clear about what embracing a minimalist mindset means to you, applying this ideology to all situations you come across becomes relatively simple. Three of the greatest situations you will experience on a regular basis are home life, the workplace, and social outings. Here are a few highlights of using a minimalist mindset in all three situations. Incorporating your minimalist mindset into your home life is most likely the easiest and most common area to embrace your fresh perspective. For example, once you decide to implement a minimalist lifestyle, the first thing you look at is often decluttering the home, getting rid of unnecessary items, and getting family members on board. However, there is even more you can do regarding your home life that will allow you to feel more at home in your minimalist mindset. For instance, reducing the “noise” in your space at any given time is a great way to encourage a minimalist lifestyle. Noise refers to the chaos we often experience when we walk through the door; kids playing on several gadgets at a time, the spouse on the phone and using the computer, the news channel on in the background, and jazz music being dispersed through the sound system. All of this literal noise creates an atmosphere of chaos and static versus calm and simple. Consider a time of quiet activity as people return home from a long day of school or work, or perhaps, a time of gathering for light and soft conversation as a family. Whatever you decide to do, the activity should be meaningful and not overly complicated or disruptive. You can also use your minimalist mindset to establish basic guidelines for the family such as simplified routines empty of excessive commitments, responsibilities of the household that match the talents of each family member, and meaningful time spent with one another. The home life is often the most intimate aspect of your life; however, it can easily become too cluttered with unimportant tasks and obligations if you lose sight of your minimalist perspective. You may think your work environment is an area you cannot easily embrace your minimalist mindset, especially if you work in the corporate world or are an employee of a large company. However, this could not be further from the truth. There are several ways you can incorporate your new perspective into your workplace. Your physical workspace is the ideal starting point for implementing your minimalist perspective. Evaluate your desk, your office, and your overall environment. One of the easiest ways you can help yourself is to reduce the clutter from any given space. Leave only the items relevant to your job and remove the rest. You may consider leaving a few personal touches such as a picture of your family or a plant to improve the air in your space, but whatever items you include should not be distracting to you. Your minimalist mindset is also useful for creating a balance between your work and home life. For example, remembering your priorities when your boss encourages you to work overtime can assist you in deciding whether or not following through on your boss’s request is a wise decision. If family is more important and work is cutting into quality time with the family on a regular basis, it may be time to discuss the dilemma with your boss or consider a new job. As a minimalist, you are able to hold onto your values and what brings meaning in your life, rather than having someone else define them. With your perspective, you are also able to maintain different relationships with your coworkers and your friends outside of work. This allows you to leave work at work when spending time with those that matter most to you. When attending social events, dinner parties, or any other outing, a minimalist mindset is extremely useful. It requires that you place a value system on what events you wish to attend. If your time is spread thin and you constantly have too many commitments on the agenda, you are able to use the tools provided to you through your minimalist perspective. For example, once you have your priorities laid out, you can compare the events on your list and how they match up to what your priorities are. The ones that are not in line with your values or provide growth in your life, should be the first events to get crossed off your agenda. 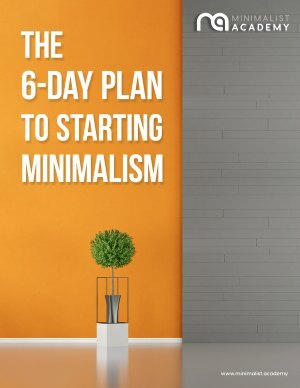 It can be so tempting to clutter our schedules without thinking twice, however, with your minimalist mindset you are able to navigate this task much more efficiently. Once you are at an event, your toolkit provides you with further guidance on how you wish to spend your time. Often times, you may feel obligated to exchange a word with everyone in the room, be noticed, or at the very least, say the right things to the right people. This creates anxiety and disappointment once you leave the party. However, when you look at an event from your minimalist mindset, you realize what is important is to embrace the precious moments that happen naturally in the situation. You start up a conversation with those you connect with. You continue your engagement with those who are agreeable and pleasant to be around. More importantly, you are able to come to the conclusion that there is no right and wrong, but rather just genuine connections to be made. The social outing becomes a rather pleasant, relaxing, and rewarding experience rather than a forced and stressful one. A minimalist mindset is useful in all situations you may encounter throughout your lifetime. 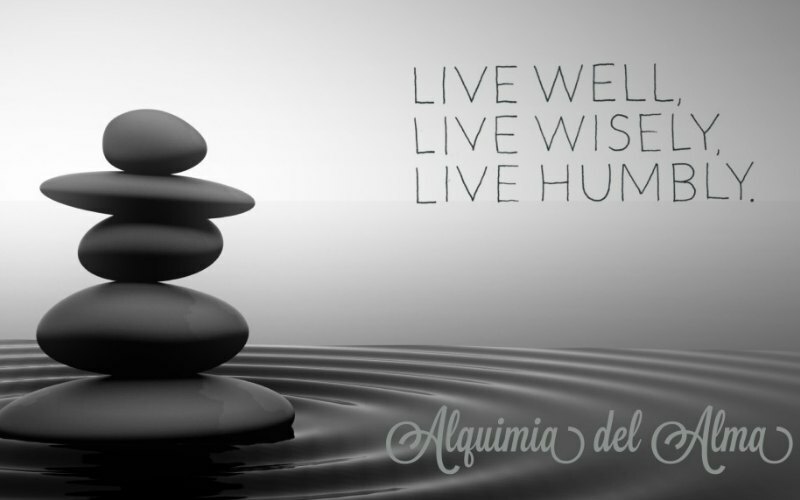 Reflecting on your priorities, your values, and your intentions are important if you wish to live your life meaningfully and with purpose. When you hold to this perspective and seek it when in a particular situation, answers and decisions often unfold fairly fluidly. The next time you encounter a dilemma or a difficult situation, refer back to your minimalist mindset, and what would make the situation more meaningful for you. It is that simple.